Get Every Tax Benefit You Qualify For. Our fully-engineered reports go into more detail, bring more tax benefits forward, and leave less money on the table than other cost segregation studies. 1.Cost segregation allows you to depreciate your building quicker. 2.This means you get more tax deductinos now, rather than over the traditional 39 years. 3.Use this increased cash flow to invest in other projects, invest back into your business, or put more money in your pocket. Cost segregation is for building owners and investors with properties exceeding $500K. Do you have a project less than $1M and don’t need asset detail? Try our “DIY” cost seg tool. Reduce your current tax liability. Cost segregation helps you depreciate parts of your property faster, decreasing your tax liability and increasing your cash flow. Some assets of your property can be depreciated in 5, 10, or 15 years instead of the traditional 39 year or 27.5 year straight-line depreciation. We find more of these depreciable assets than traditional cost segregation studies. This frees up cash for other investments or to simply put more money in your pocket. More detail = more tax benefits. Our in-house engineers find the depreciable assets that others miss. We do this by breaking down assets with traditionally 39 or 27.5 year straight-line depreciation and find component parts that can be depreciated faster. We don’t just stop there. Our fully-engineered study means that we look and account for all of the hidden assets ‘behind the walls’ of your property, giving you more tax benefits than traditional cost segregation studies. From gathering important property details to reviewing your report, our team will walk you through the entire process. Whether you’re just starting construction or auditing an existing property, our helpful experts are here to explain how to get most tax benefits for your situation. Let us do the heavy lifting. We don’t ask for more than we need to, and we don’t create lots of work for you throughout the cost segregation process. Our professional project management team will walk you through collecting the information we need upfront, then relax as we take care of the rest. Our team seamlessly works in the background and doesn’t interfere with any daily operations of the property. 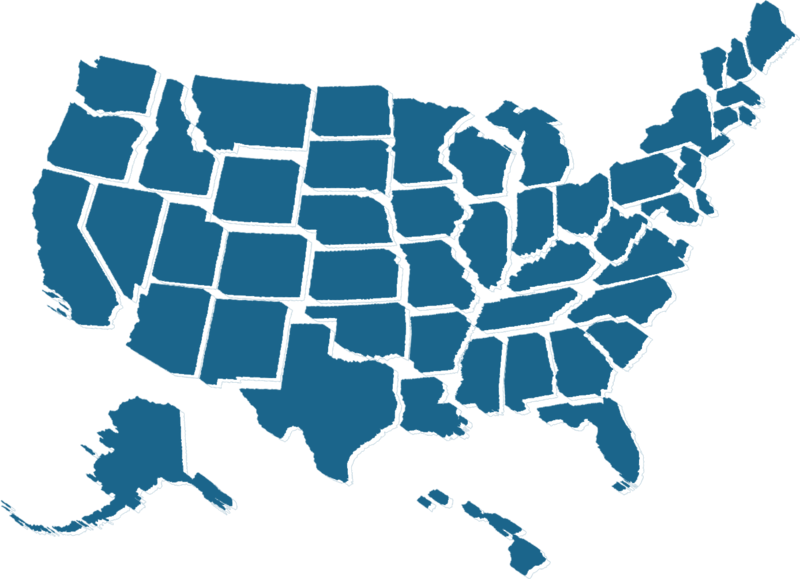 We've completed cost segregation studies in all 50 states across the USA. See how much you could save by conducting a fully-engineered cost segregation study. Your official cost segregation report is based on nearly two decade’s worth of research and experience. We’ve had the pleasure of working with some of America’s top brands. Call us at (352) 796-2112, submit the inquiry below for a call back, or request a free quote. We'll do all the heavy lifting to find you the maximum tax deductions you qualify for. Step Three: We deliver your 'CPA-ready' report. Get a completed cost segregation study that decreases your tax liability and puts more money in your pocket.